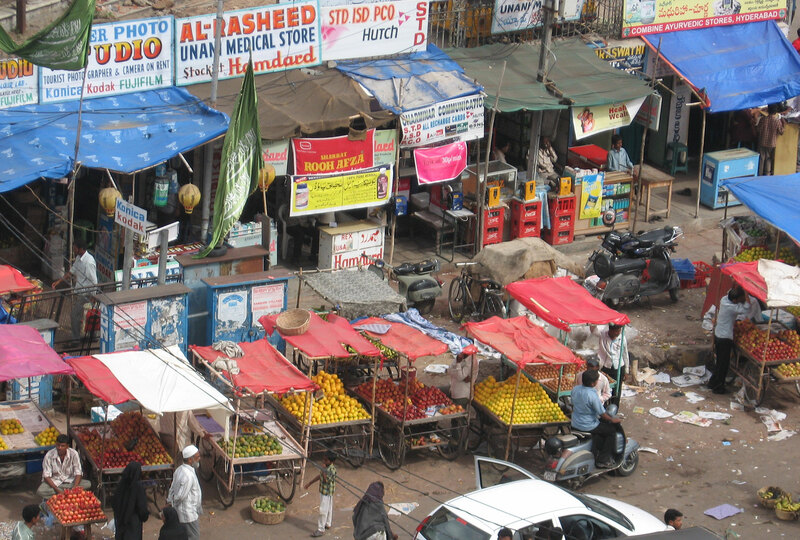 Researchers evaluated the impact of increased access to microcredit on the economic and social well-being of women and their families in Hyderabad, India. They found that microcredit had mixed effects on business activities and little to no effect on women’s empowerment or children’s education. Microcredit is one of the most visible innovations in anti-poverty policy in the last half-century, and in three decades it has grown dramatically. Now with more than 200 million borrowers,1 microcredit has undoubtedly been successful in bringing formal financial services to the poor. Many believe it has done much more and, by putting money into the hands of poor families (and often women), it has the potential to increase investments in health and education and empower women. Skeptics, however, see microcredit organizations as extremely similar to the old fashioned money-lenders, making their profits based on the inability of the poor to resist the temptation of a new loan. They point to the large number of very small businesses created, with few maturing into larger businesses, and worry that they compete against each other. Until recently there has been very little rigorous evidence to help arbitrate between these very different viewpoints. Over one third of Hyderabad's population resides in slums and other poor settlements,2 where there is extremely low access to formal financial services. At the time of the baseline survey, there were almost no microfinance institutions (MFIs) lending in the sample area, yet 68 percent of the households had at least one outstanding loan. The vast majority (93 percent) of households borrowed from informal sources (e.g. moneylenders, friends, or family), while just over 5 percent reported having a loan from a commercial bank. 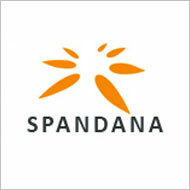 Launched in 1998, Spandana is one of the largest and fastest growing microfinance organizations in India, with 1.2 million active borrowers in 2008. Spandana offers traditional microfinance loans, in which self-formed groups of six to ten women are given loans. A "center" is comprised of 25-45 groups, and to join an individual must (i) be female, (ii) be aged 18 to 59, (iii) have lived in the same area for at least one year, (iv) have valid identification and residential proof, and (v) at least 80 percent of women in a group must own their home. Spandana introduced their financial products into the treatment villages between 2006 and 2007. Data was collected on income, consumption, borrowing, and investment practices in a random sample of eligible households in both treatment and comparison areas. The typical loan was approximately Rs. 10,000 (US$200). Loan take-up and use: Around 1.5 years after Spandana extended credit offers, about 27 percent of eligible households had taken up loans from Spandana or another MFI, compared to 18.3 percent in comparison areas. Business activity: Access to credit increased small business investment, but only increased the profits of the most profitable pre-existing businesses. After 1.5 years, treatment households were no more likely to own a business or start new businesses, but they did invest more in existing businesses. Households in treatment neighborhoods invested in more durable goods for their businesses in the first 1.5 years. However, a second endline survey conducted over three years after the initial microcredit offer showed no difference in business investment between the treatment and comparison groups. After three years, business asset levels were around 25 percent higher for treatment households. There is some evidence that business profits increased for businesses above the 95th percentile of profitability. To the extent that microcredit helped businesses, it may have helped the most profitable businesses the most. Household finances: Though microcredit access increased investment, it did not lead to a significant increase in income. There were no significant differences in total household expenditures (a proxy for material well-being) between treatment and comparison groups after 1.5 or three years. However, expenditure patterns did differ between the two groups. In the first 1.5 years after gaining access to microcredit, treatment households bought more durable goods for their homes and businesses (e.g. they invested) and reduced spending on self-identified temptation goods (tobacco, eating out, etc.) and festivals. Note: Green (red) arrows represent statistically significant positive (negative) differences in outcomes between the treatment and comparison groups at the 90 percent confidence level or higher, dashes represent no statistically significant difference. For more detailed information on the outcomes summarized in this table, please see the full footnote for Table 2 on page 11 of "Where Credit is Due." Education and female empowerment: Researchers found little evidence to suggest that microcredit empowered women or improved investment in children's education in this context. Women in treatment areas were more likely to manage more self-employment activities than those in comparison areas, but they were no more likely to make decisions about household spending, investment, savings, or education. In both follow-up surveys, there was no change in the probability that children or teenagers were enrolled in school, though enrollment for both boys and girls was already high at over 90 percent in the comparison group. There was also no change in the number of hours worked by girls or boys aged 5 to 15, although teenage girls did work fewer hours per week after 1.5 years. Banerjee, Abhijit, Esther Duflo, Rachel Glennerster, and Cynthia Kinnan. 2015. "The Miracle of Microfinance? Evidence from a Randomized Evaluation." American Economic Journal: Applied Economics 7(1): 22-53. 1 CGAP. "Financial inclusion" http://www.cgap.org/topics/financal-inclusion. Accessed: 2015. 01. 20. 2 “Chapter V: Basic Services to the Urban Poor,” Hyderabad - City Development Plan, Greater Hyderabad Municipal Corporation, Accessed September 8, 2009 http://www.ghmc.gov.in/cdp/chapter%205.pdf.